Gin, chocolate, fireside. There, we’ve got your attention 😉 For those looking for the perfect gift for the gin-lover in your life, we invite you to consider this heavenly pairing from Pothecary Gin and Kerry Witt of “Chocolate by Miss Witt”. Both parties having a passion for botanicals and flavours, we could only anticipate delicious things from the pairing! Included in the gift set is a 100ml bottle of Pothecary Gin and 4 gourmet chocolates. They come in a beautiful (and very gift-able) ribbon adorned box. The good folk at Pothecary recommended the chocolates were paired with the gin either neat or over ice and for our tasting session, we chose to try it over ice. Now, we first tried Pothecary back in May just before they launched, so for a review of the gin flavour profile, we kindly direct you here. So let’s get to it and talk about the chocolate in the gift set and how it compliments the gin! We tried the the “Ana” chocolate first (gold in appearance – perfect for Christmas). Named after Anatolia, the region where the organic black mulberries grow which feature in the gin. The ganache is cleverly crafted using the gin distillates from the black mulberries and organic Sicilian lemons, so a true partnership is born. The chocolate paired really well with the Pothecary gin and in fact it enhanced all of the key flavours and tones in the gin, in particular the lavender. Next up was the “Provencal” chocolate, in signature Pothecary turquoise. The crisp white chocolate shell offers a hint of the wonderful signature Pothecary lavender flavour without being too overpowering and the soft creamy mousse inside leaves a salty tang which works wonders when combined with the gin itself. A lovely combination and the favourite of the two at The Gin Club. You can tell that real consideration and craftsmanship has gone into the creation of both the gin and the chocolates. A wonderful partnership, combined in a beautiful gift set – great job guys. I know all of us at The Gin Club would be happy with another one of these in their stocking this coming Christmas. The gift set retails at a very palatable £25 and is now on preorder at The Gin Kiosk & from tomorrow on 31dover.com and Master of Malt. Imagine you are sitting under a palm tree, skin too hot from a day in the sun, feet buried in warm sand and you are listening to a gentle fish eagle call from way back in a deep red and orange sunset over the water. That’s Malawi Gin – a soothing sunset, bottled. M.G.T. (Malawi Gin & Tonic), as it is fondly known, has become something of a cult amongst holidaymakers and travellers who have ventured over to the warm heart of Africa. You need only check the forum boards on TripAdvisor and Lonely Planet and you will find travellers desperately seeking a bottle once they returned to the UK. Well great news, travellers – Malawi Gin is finally available here in the UK (see end of post for where to buy)! Established in 1965, Malawi Gin is a firm favourite not just with travellers, but with most gin lovers in Africa and it’s easy to see why – it’s a soft, gentle gin with a classic profile that has become all too forgotten lately with the prolific and wild botanicals that are awash through the gin industry right now. It’s polite and very easy to drink. Subtle notes pushing through a very silky gin indeed. The packaging will have hipsters delighted – there’s a quaint 70s vibe I really like about it and it’s nice to see a gin that isn’t bamboozling with design and print finishes for a change. It’s true to its original look and hasn’t changed in 40 years or so. This is indeed a dry gin, but it’s got some really lovely sweet and fruity notes that shine through. 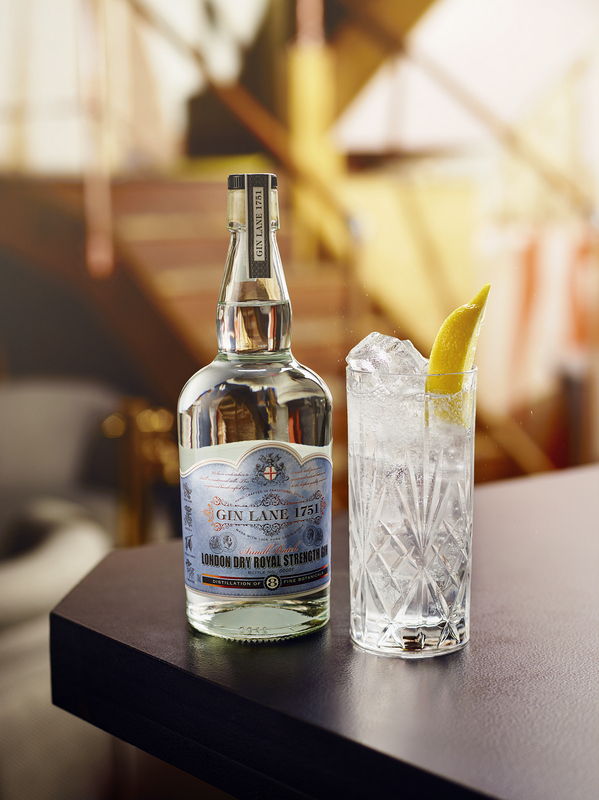 Having grown up in Malawi, it would be fair to say that this gin has a special place in my heart and I am absolutely delighted it’s now available to buy here in the UK and I was very excited to share this delightful gin with our members. Honey, juniper, citrus and fresh cut grass with a surprising undertone of coconut. Predominantly juniper and black pepper which make way for softer, sweeter notes of toffee, candied lemon peel and fresh mango. Silky hints of chocolate and orange sherbet. If you’ve tried Malawi Gin, tell us what you thought on Twitter @the_gin_club. We tried it in a classic G&T with a mango garnish. The gin is so gentle it disappears a bit with tonic, so we also tried it as a Gin Rickey (soda and fresh lime) and this really worked well too. Price: ±£35, depending where you buy it from. This is altogether the most unique spirit we have tried in a long while. Do you love liquorice? Are you a savoury gin fan? 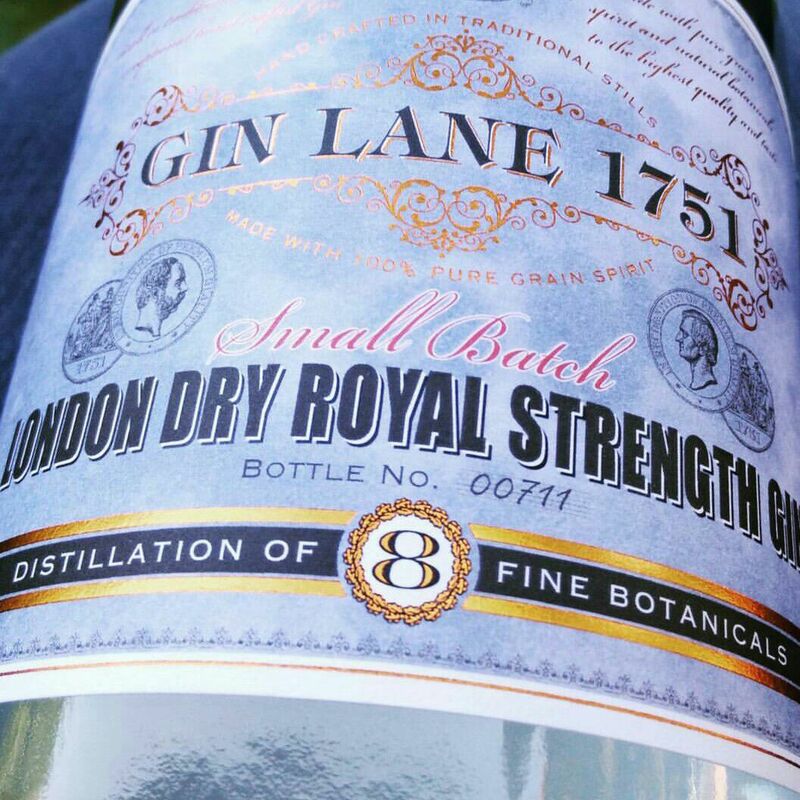 Then you may enjoy Gin Lane 1751 London Dry Royal Strength. 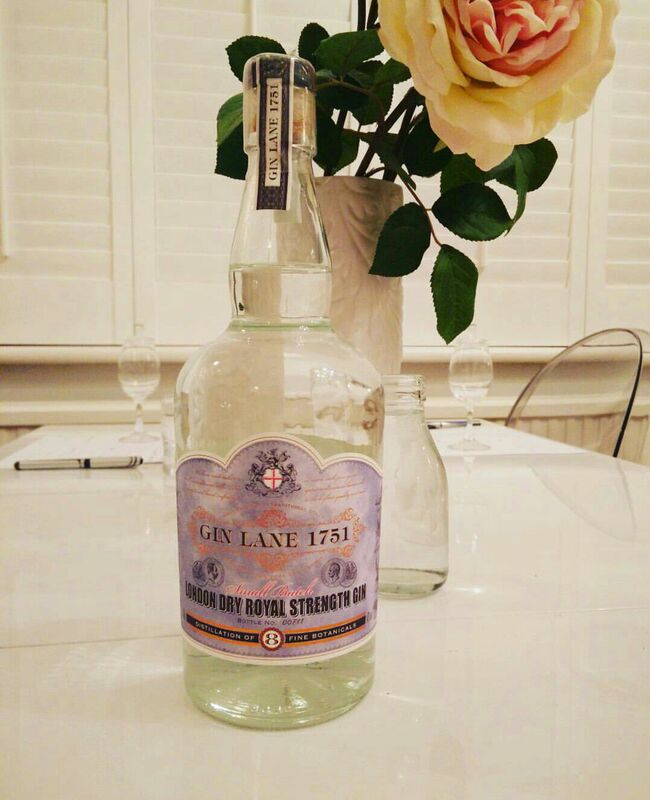 Having only been released in late spring this year, Gin Lane 1751 is still fairly new to the craft gin market. However, as a creation of 8th generation London Distiller Charles Maxwell, their credentials are strong (which is why we were really looking forward to trying this gin). Made with 8 botanicals in a traditional Victorian style, London Dry Royal Strength is one of 4 released this year by the brand and is the first we have tried. You can read a great interview with Charles Maxwell by the good folk at GinFoundry.com (who else?!) here. The name and liquid profile is inspired by history. Back in the mid 1700’s, the government felt that ‘Mothers Ruin’ was indeed causing far too many problems on the streets and they created a campaign to try and encourage people to switch back to a more ‘gentile’ drink – beer. Gin was blamed for a lower birth rate and for more infant deaths than ever before. 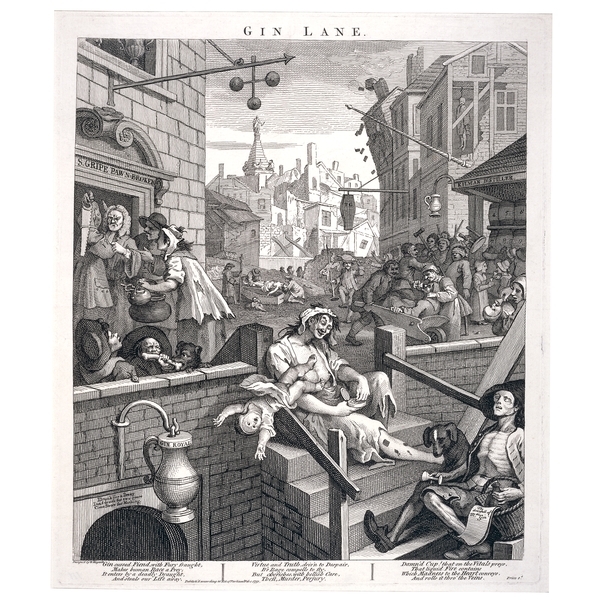 As part of the campaign, this famous print by William Hogarth was commissioned, titled ‘Gin Lane’. Hogarth claimed that this print was ‘calculated to reform some reigning Vices peculiar to the lower Class of People’. Not long after, The Gin Act of 1751 was introduced which ensured licensing of retail premises and finally reduced consumption. 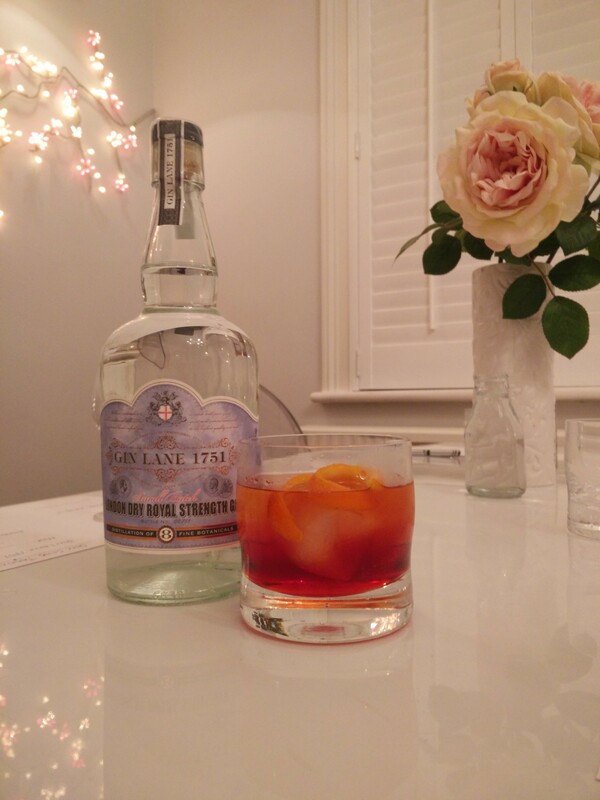 Hence our Victorian style gin here is delightfully named Gin Lane 1751. So, onto the gin – it’s a London Dry Royal Strength – and let me tell you, it really does pack a punch on the palette at 47% ABV! But even more so in flavour profile. Read on to see our tasting below. Before we get to the profile though, it must also be said that this gin has a really refreshing price point – £22.99 for a 70cl bottle. They have a principle of bringing affordable craft gin to the market place which I really like. Made in a traditional Victorian style, it is heavy on juniper and star anise. What hits you right away is the strong citrus, bitter juniper and heavy pepper, which quickly opens up into a real hit of liquorice and fennel. I’d be so bold as to suggest that this isn’t a beginner’s gin – with quite a complex palette and a very bold profile, this gin is for those looking for something very different. Not everyone at Gin Club got on with this expression, but I’m pleased that it’s a gin bold enough to inspire opinion. Plenty of juniper, rosemary, lemon and limes. The citrus and juniper are still very much there and are quickly followed by a powerful hit of aniseed and cracked black pepper. Coriander, a hint of lemongrass and even a tiny notion of bitter cacao. 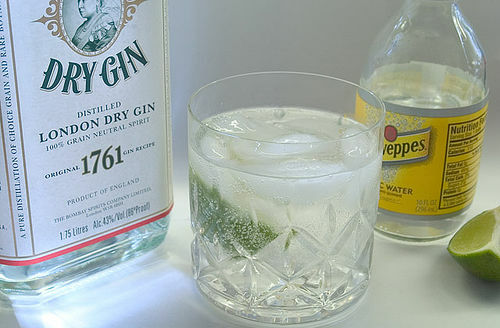 If you’ve tried Gin Lane 1751, tell us what you thought on Twitter @the_gin_club. We tried it in a classic G&T with lemon, a Negroni, a dirty martini and then we also tried it again as a G&T with coriander and chilli. We felt this London Dry suited the savoury servings most and the simple garnish of chilli and coriander helped to compliment some of the natural punch in this gin. Like gin? Going to Edinburgh Fringe this year? Looking for something a little different to do in-between shows? 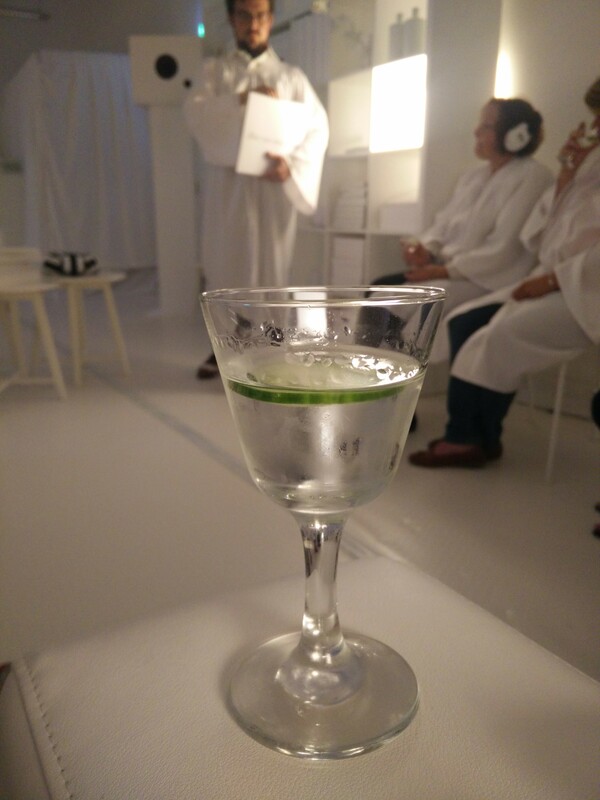 Curious enough to magnifiy your mind, fall into a state of hypnagogia, experience your gin in a completely new way? 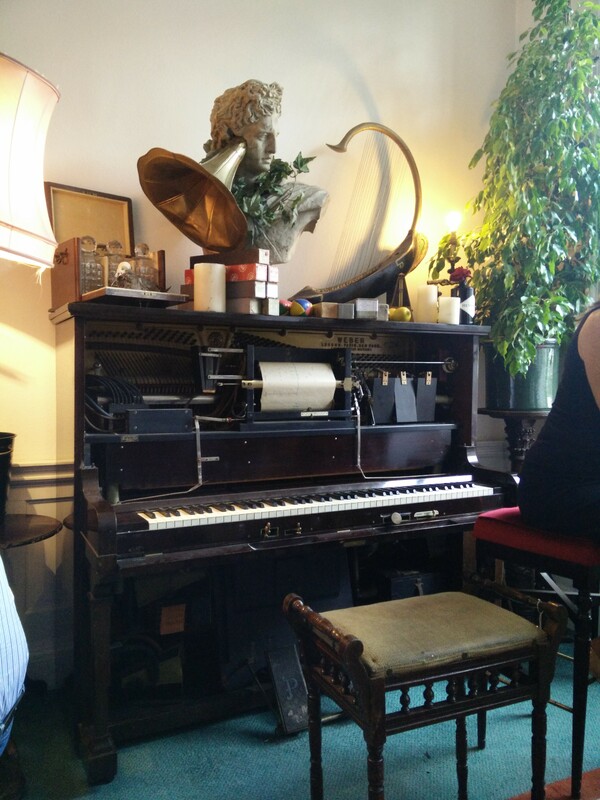 Good, then you need to get your fine self down to the most unusual Hendrick’s Emporium of Sensorial Submersion (#HESS) on 91 George Street, Edinburgh, pronto. 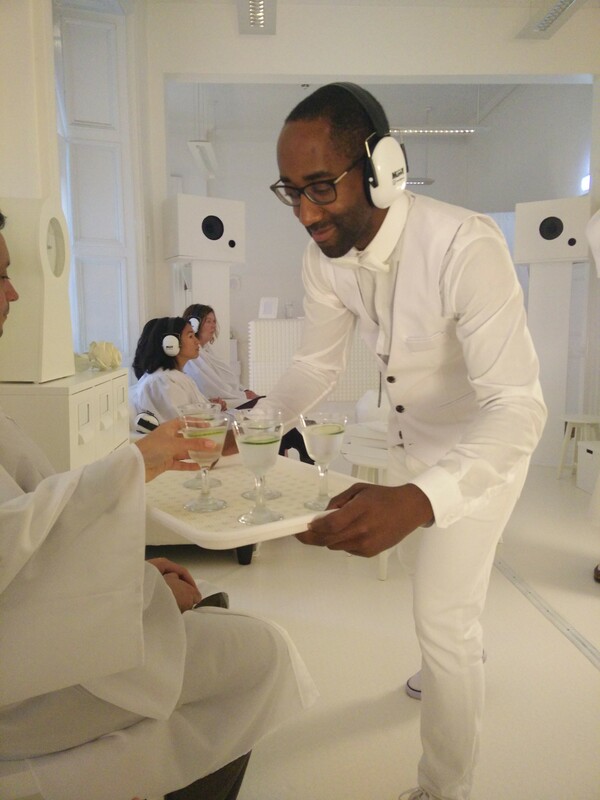 Cucumber HQ promised “a synesthetic playground of wondrous experiments and entertainments lubricated with most unusual libations throughout – a fully immersive experience that will let you discover and experience the uniqueness of Hendrick’s Gin through the mediums of sound and taste. You will leave a smidgeon more educated, a great deal more titillated and a whole imperial tonne more befuddled by the absurd abilities of your very own senses.” – and they weren’t wrong. What an experience! Part cocktail tasting, part gin lesson, part experiment, part theatre, the HESS is not to be missed. The delightful Cacophony bar is filled with oddities as only you’d expect from Hendrick’s – everything from rose and cucumber listening devices to Pavlov’s dog to the elaborate ‘Phantasmagorical Cognitive Drinking Topper Hat’ that lulls you into a state of hypnagogia as you sip your way through a spectacular cocktail menu, mixed expertly by a suitably dapper team. The bar is free to all and is well worth a visit. Here, adorned in white gowns, we entered a white room and enjoyed a dry martini in complete silence. Issued with noise cancelling headphones, our host used boards with words on to talk us through a conscious mediation that was designed to quite the mind and the palette. A most unusual experience and completely unexpected – I can’t remember the last time I sat in complete silence for 10 minutes. 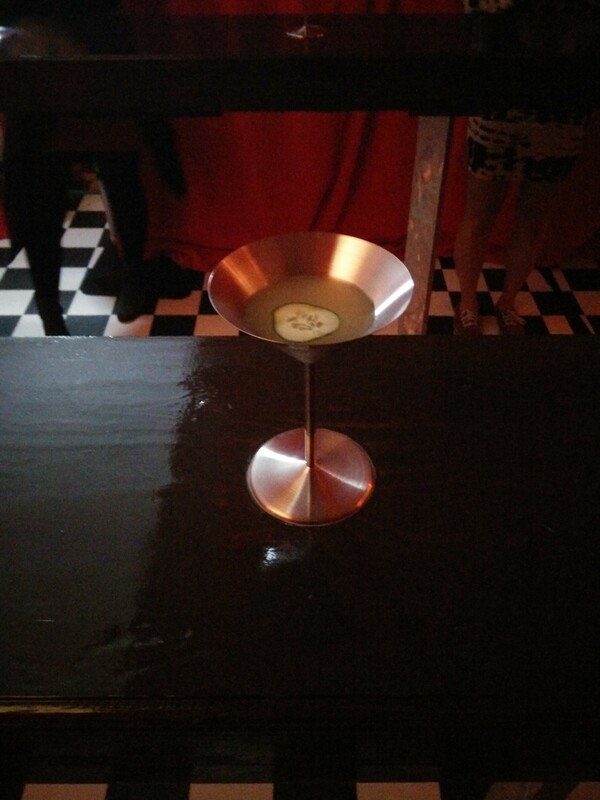 Hearing your own heart beat in your ears and your own breathing whilst surrounded by other people was awfully strange, but actually helped you focus on the flavour if the martini, which was delightful. 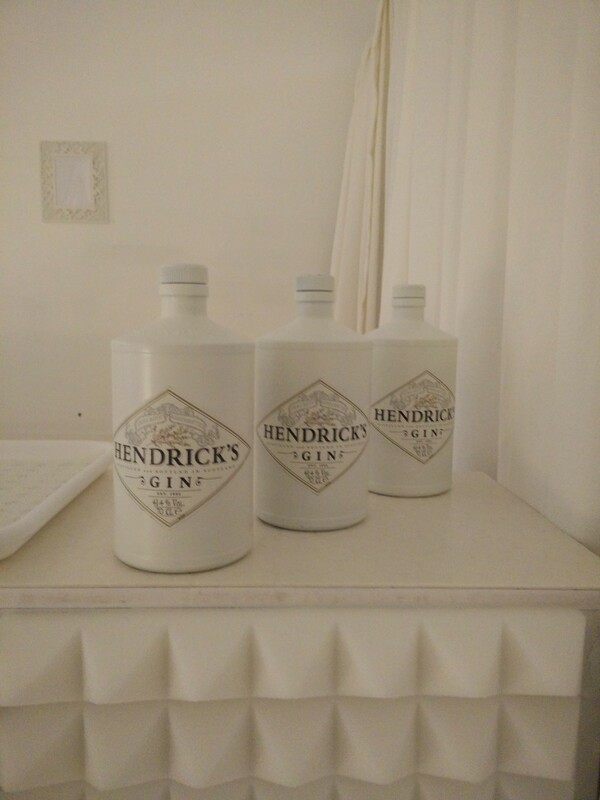 Hendrick’s is a superb gin in a martini – really soft and floral. Next, in a science lab classroom, we explored and learned about how our sensory stimuli are all interconnected. 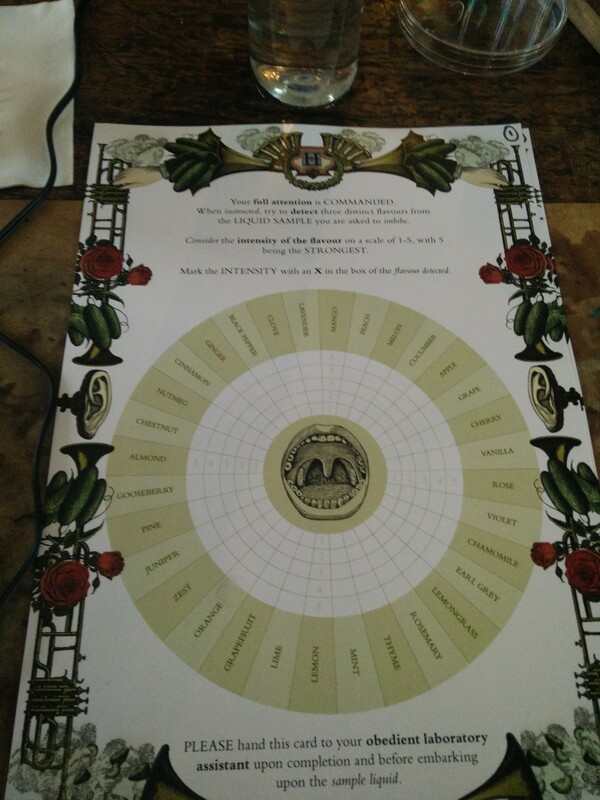 Presented with 3 vials of different coloured liquid, we were invited to put some headphones on and, using a flavour wheel, describe the three different gins. A most unexpected outcome – I won’t give the game away, but this was probably the most interesting room and a fascinating experience. In a deep red room, we were invited to play with a most curious contraption designed to “uncover the secret quantumphysical voice of cocktails as we amplify the effect one has on the vibration of concoction’s sub-atoms” – we basically “played” our cocktails as you would instruments – the best way I can describe this was like playing a theremin. 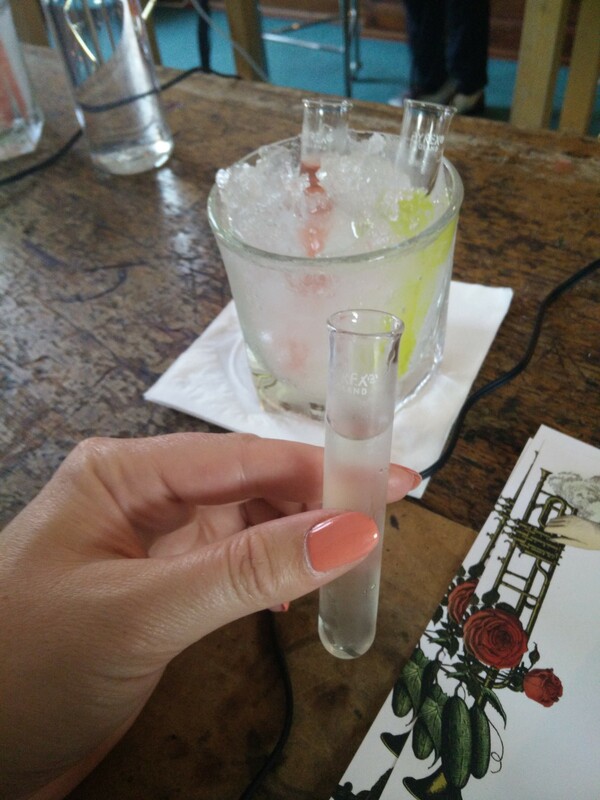 An absolutely fascinating experience and fun way to enjoy a cocktail! 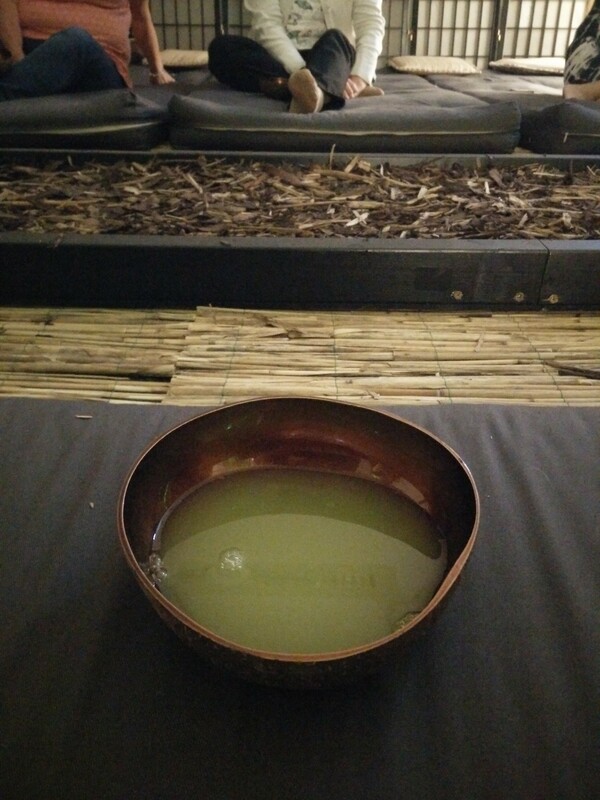 The final room was a zen like oasis – in the midst of the crazy festival, this was truly lovely. 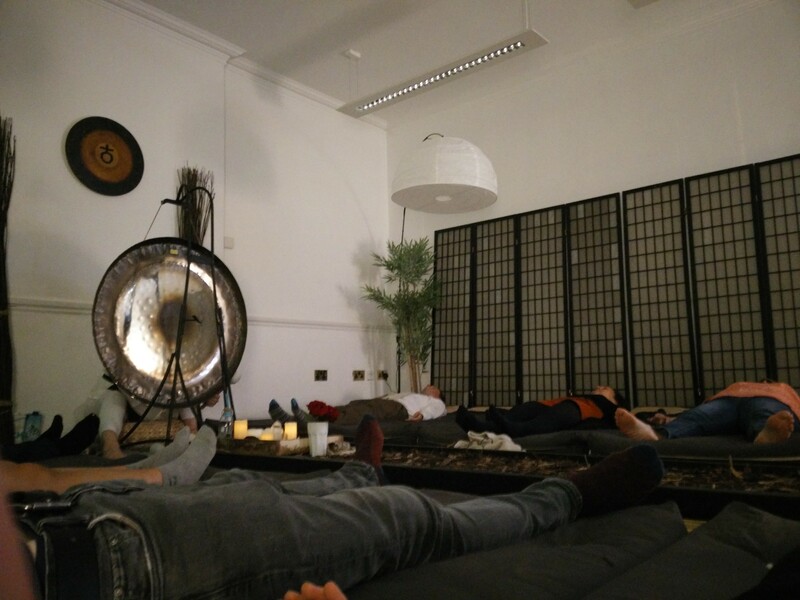 Here, we enjoyed a sonic sound bath led by a gongologist – basically playing tibetan singing bowls and a gong while you lie back and fall into a state of deep relaxation. We finished off the experience with a an alarmingly green coloured liquid called ‘cucozade’ – which in fact tasted delicious. Location: 91 George Street from 7th – 30th August 2015. 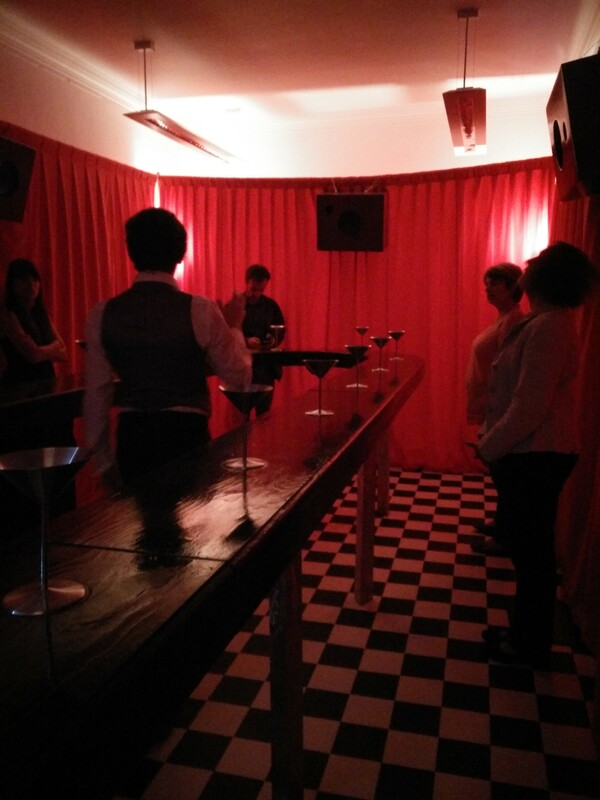 The full Hendrick’s Emporium of Sensorial Submersion experience runs every hour from 6pm – 11pm, Wednesdays to Sundays. Each experience lasts approximately two hours and will be undertaken in groups of 20. Tickets for the full experience cost £24 (including drinks) and can be purchased from https://www.edfringe.com. Remember when we only used to drink G&T’s with lime? Then, Hendrick’s Gin was introduced with wildly unusual rose and cucumber botanicals – arguably kick-starting the craft gin alternative botanical trend. And they did something unheard of…. They recommended we drink their gin with a slice of cucumber! This was revolutionary! 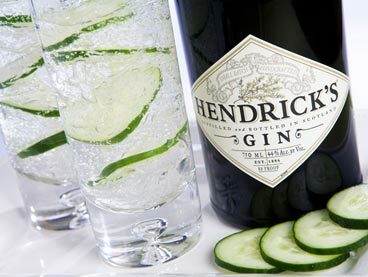 What most of us didn’t (and arguably some still don’t) realise is that this wasn’t just marketing fluff or an attempt to be different; the reason Hendrick’s is served with cucumber is because it enhances the botanical profile of the gin. Ah-ha! Garnish is to gin as food is to wine – some things just go better together. My top recommendation for garnish experimenters would be to visit Julia and the team at The London Gin Club – these guys really know their gin. 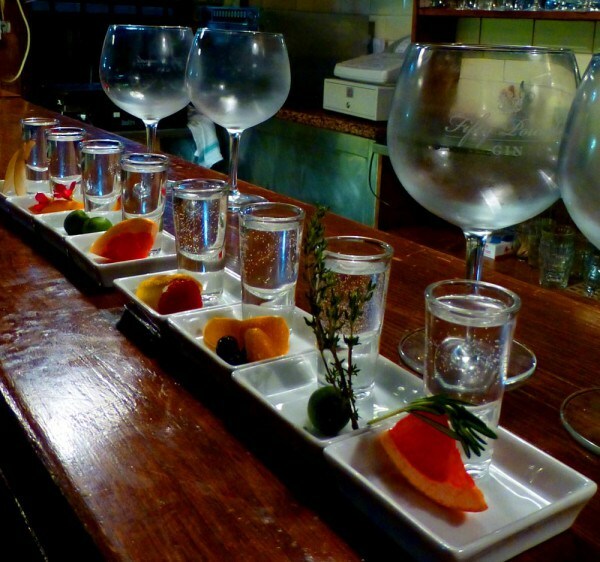 Coppa glass, premium ice and intelligently selected garnishes will open your palette to a whole new world of wonderful. Indeed, I will never forget enjoying my first GinMare garnished with basil and cherry tomato – it blew my mind and really made me think I could be more selective with my garnish choices. Additionally, our friends at The Craft Gin Club have been collating responses from distillers to create a definitive list of garnishes – a great place to start. Who knows better than the distillers themselves? In the world of craft gins, you can easily become overwhelmed and bamboozled by obscure botanicals and quirky flavour profiles and exaggerated marketing… So much so that when you do come across a gin that is as well balanced, polite and altogether delightful as Silent Pool, you remember why you started drinking gin in the first place. Thank you, Master Distiller Cory Mason, for reminding us that, like a Gregory Peck or a Jaguar E-Type… sometimes the classics never go out of style. 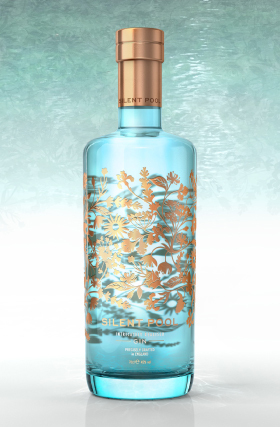 Indeed, Silent Pool have remade the classic profile of a quintessential gin but added a modern twist that is undeniably exquisite. 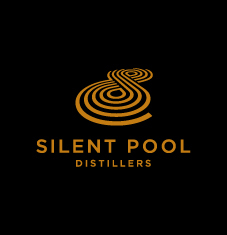 Having first discovered Silent Pool gin at The London Gin Festival back in February, we knew knew almost immediately that this would become a firm favourite at The Gin Club (not least of all because their distillery is not far from my house in Surrey!). We were then reminded of how superb it was whilst stopping in for refreshment on a long country walk at The Drummond, Albury (if you haven’t been you really must make a trip out to Surrey and enjoy the fine hospitality of the team and enjoy a Silent Pool by the babbling brook in the pub garden) and that was that, we knew we had to get several bottles in. A few weeks later we drove out to Ripley to meet Ian from Silent Pool distillery and acquire a few bottles for the next Gin Club meet. Needless to say, it was the most popular gin that night. 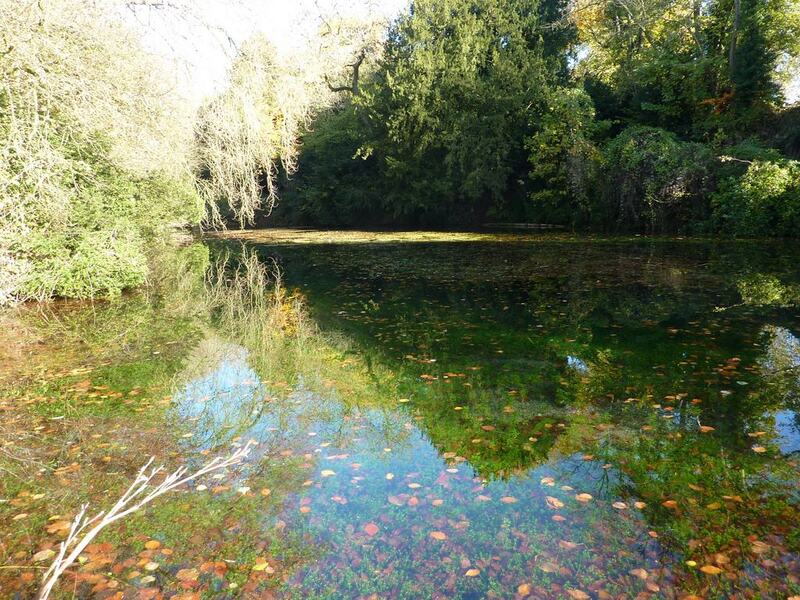 Silent Pool itself is a site of mystery, magic and legend based near Albury, Surrey. The Distillery takes spring water from Silent Pool in the making of the gin, hence the name. A place of extreme beauty and shrouded in mystery and magic, we’re pleased to report that the gin is just as interesting. Legend has it that a woodcutters daughter drowned in the bottomless pool and that her spirit can be seen rising from the waters at night. If you’ve ever been to silent pool, you’ll know how incredibly clear the water is and how many glorious rainbow colours you can see on the bottom created by various plant life. The Silent Pool gin bottle aims to reflect some of this magic and it certainly is a beautiful bottle that can be proudly displayed on your gin shelf. 24 unique and unamed botanicals (the gin is as mysterious as it’s namesake) come together to deliver a very refreshing gin that unfolds gently on the palette. Our tasting notes in full below, however you will be rewarded with a crisp citrus and peppery profile to start that gives way to the deep sweetness of honey and that leaves a soothing wave of lavender and chamomile behind. 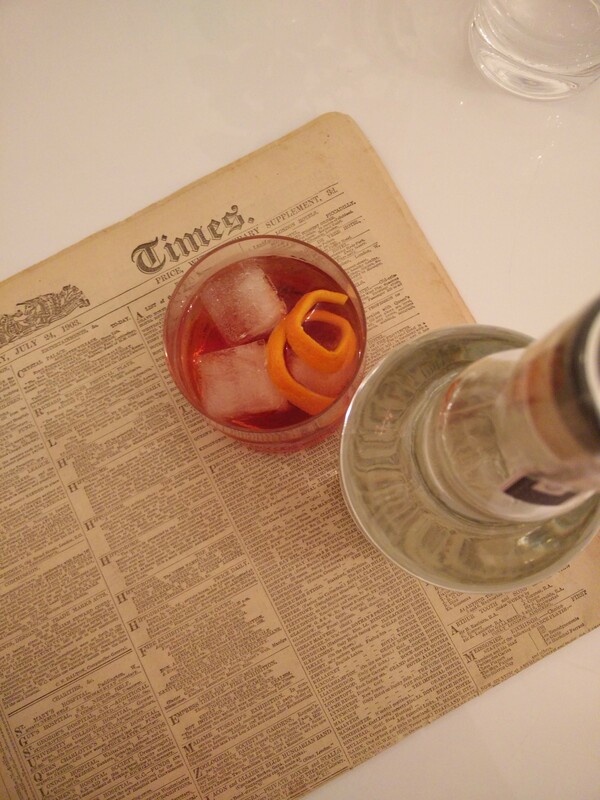 We tried it neat and with Jack Rudy’s Tonic syrup and sparkling mineral water. An absolutely delightful gin – polite on the palette, refreshing with a confident citrus profile that is balanced beautifully with gentle notes of honey, lavender and rose. Lots of lovely juniper followed by bright lemon, kaffir lime, fresh cracked black pepper, coriander and sherbet. Citrus quickly gives way to silky aniseed, sweet chamomile and lavender, a touch of rose. Warm honey, fresh oranges and maybe even a hint of mint. We tried a simple orange slice garnish & a gooseberry – which complimented the citrus profile of the gin and then again with a slice of pear and sprig of lavender – which really sung. Because Silent Pool has such a wonderfully balanced profile, a classic dirty martini, served extra cold, with lemon stuffed olives to compliment the citrus profile is just wonderful.